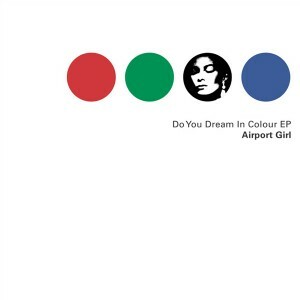 Highly anticipated return of Nottingham, England's Airport Girl with their first release since the debut album "Honey I'm An Artist" stormed best seller charts in January 2001. The superb title track is a violin-led orchestrated gem which (somewhat disturbingly) joins the exalted company of Kylie Minogue's "I Should Be So Lucky", The Farm's "Altogether Now" and the Pet Shop Boys' "Go West" by taking its inspiration from Pachelbel's "Canon in D." Second track "When You Fall" is a trumpet-driven summer pop hit that recalls the best moments of The Boo Radleys and was written by Airport Girl's resident trumpeteer Rob Fleay - a man who has already booked his place in pop's hall of fame with his appearance on White Town's No. 1 UK hit single 'Your Woman". "Easier To Smile" is a singalong rave-up à la The Beach Boys' "Barbara Ann" featuring tambourine, shaky egg and handclaps plus guest musicians Graeme Elston of Slipslide on backing vocals and Matinée head honcho Jimmy Tassos on bongos. The EP closes with a beautifully sad lament called "Been Waiting." It is a triumphant return for Airport Girl, who follow this release with a new album for Matinée in September.